The Stamina Versa-Bell II 25 lb. dumbbell is nine dumbbells in one. 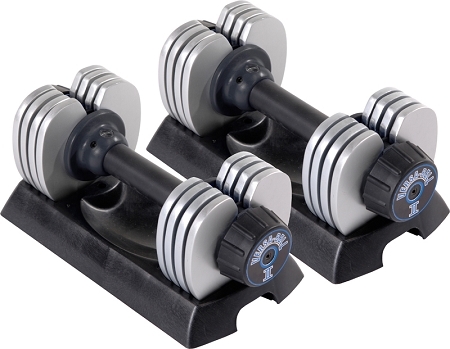 This innovative 5-25 pound adjustable dumbbell replaces nine individual dumbbells, but is the size of one so you save space and money without sacrificing quality. It's the perfect way to add dumbbells to your home workout area. Just set the dial to your weight of choice. Add the Stamina SPS Versa-Bell Dumbbell Stand (sold separately) to hold a pair of 25 lb. 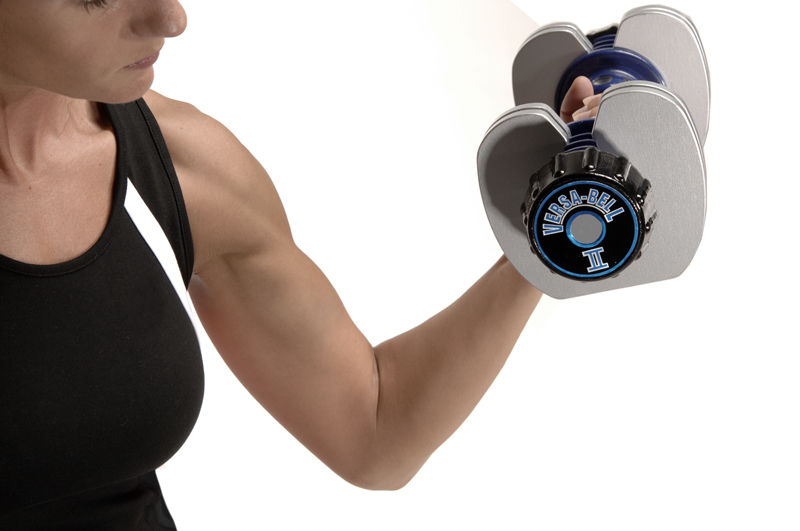 Versa-Bell II dumbbells. With a footprint of just 23 inches x 19.75 inches, it fits easily into most home workout areas. Adjustable from 5 -25 lbs.